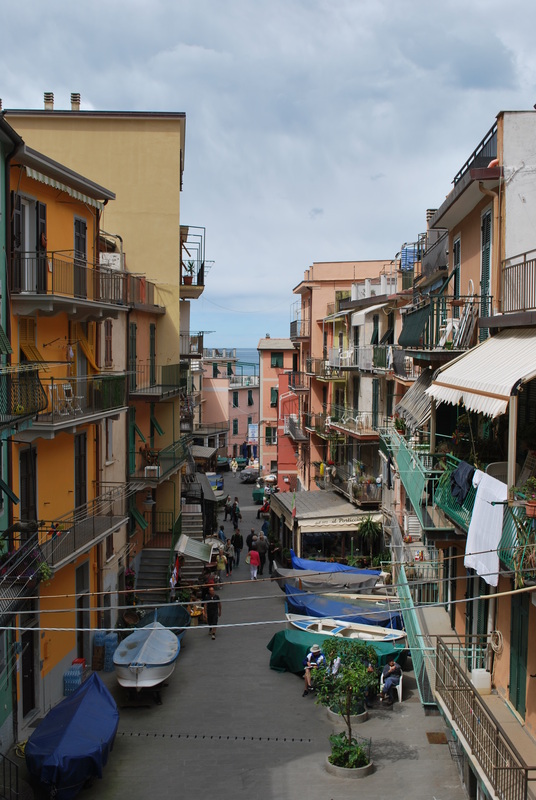 With our early start we arrived in the city of La Spezia in the mid-morning and began our drive up the coast to Manarola. 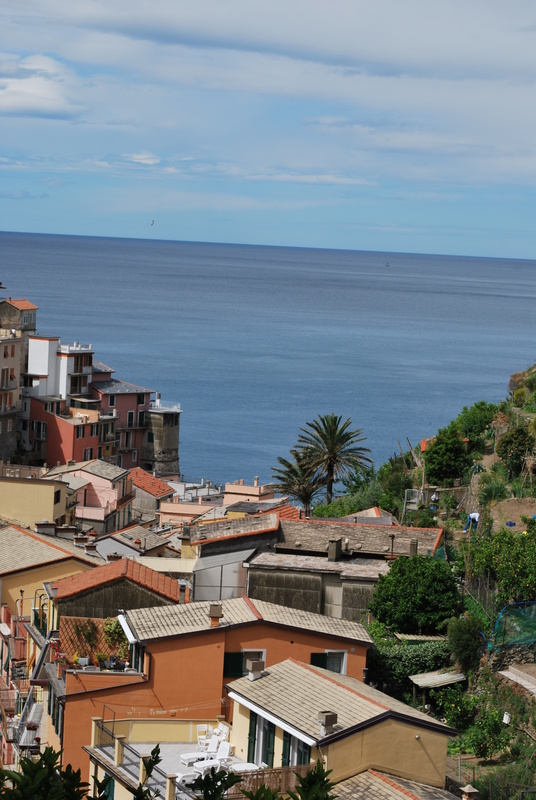 The Cinque Terre is an area of the Italian Riviera comprised of 5 villages that basically sit on the side of a mountain overlooking the sea. 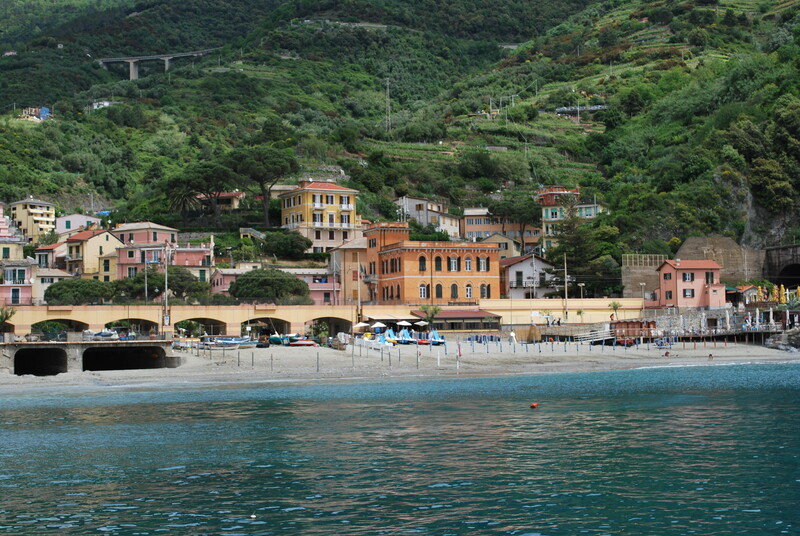 This area is on the West Coast of Italy to the North. 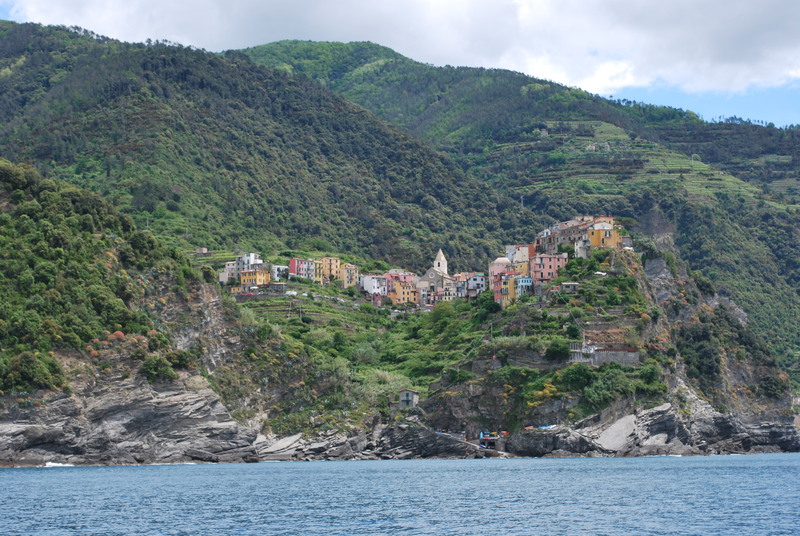 We were told ahead of time that my grandma would not be able to come with us to the Cinque Terre because it was very steep and the wheelchair would not be able to maneuver. 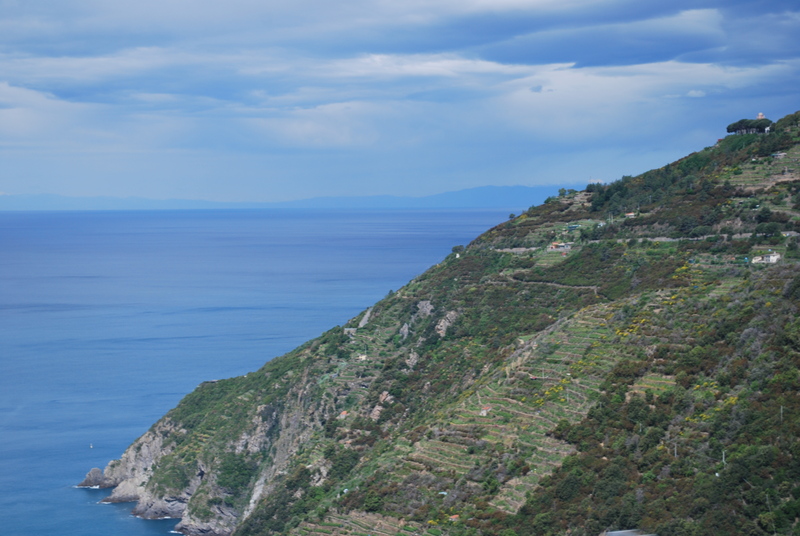 It was also too far for her to walk as we had to be dropped off outside of the first village (Manarola) and walk down a very steep road. 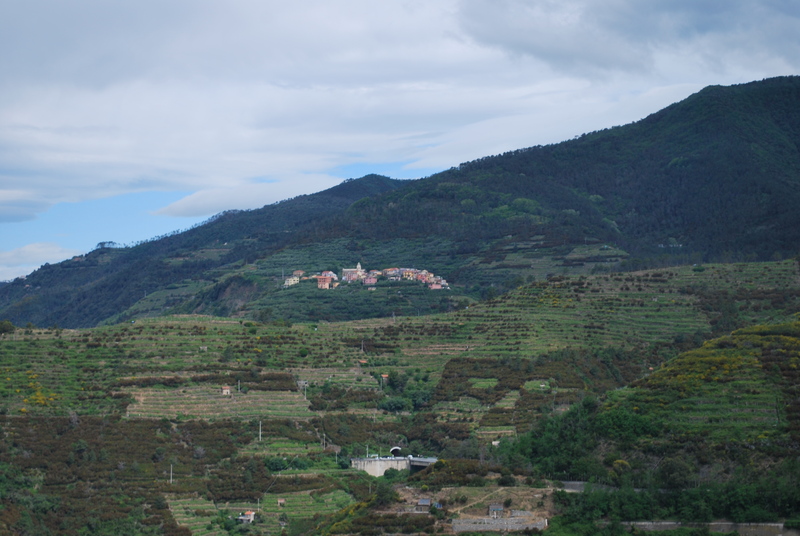 The hillsides above the villages were lined in vineyards and lemon trees so the walk down was very pretty. Since space is quite limited the houses are built narrow but tall. 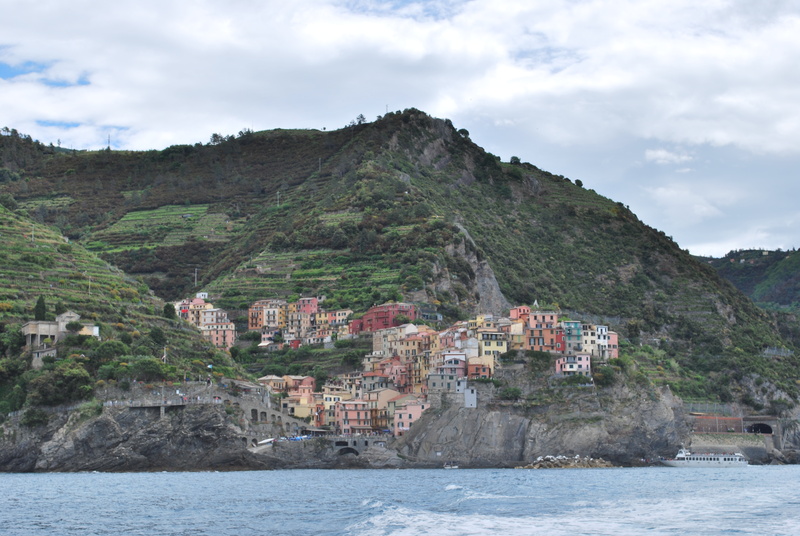 We talked through Manarola and down to the water and boarded boat to Monterosso. The views from the boat were quite spectacular. 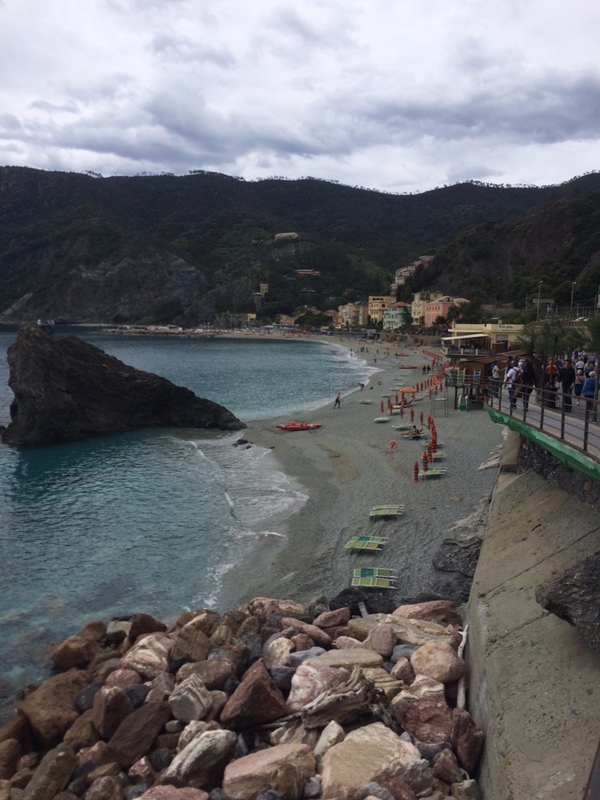 When we arrived in Monterosso we were given free time to shop and get lunch. The local specialties were muscles and pesto, so that is exactly what I had for lunch. I actually usually don’t care for pesto but this pesto was incredible. 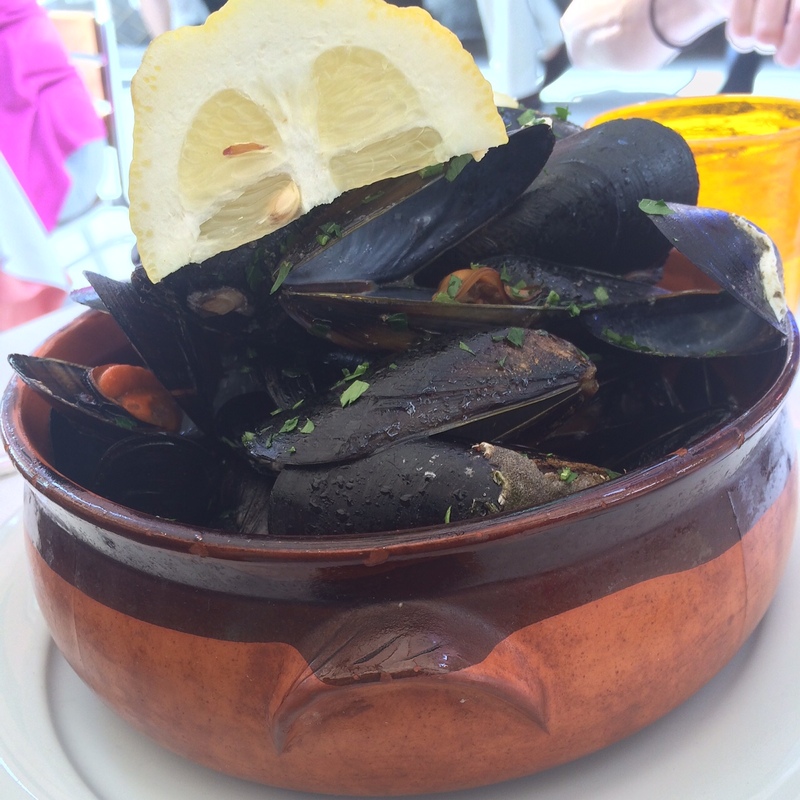 The muscles were also the best I have ever had. 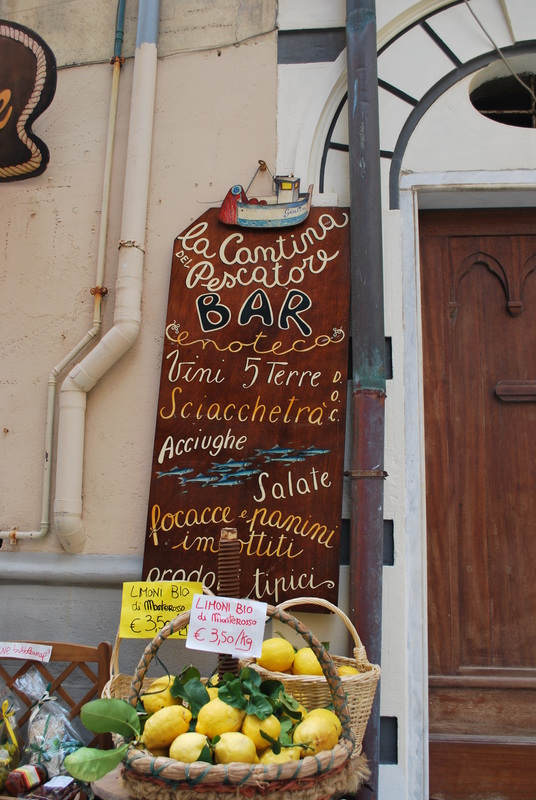 I had read ahead of time that the shopping in the Cinque Terre was supposed to be really good, but that must be in a different village because the shops in Monterosso were nothing great. After wondering around for a while we met up with the group and walked to the train station. 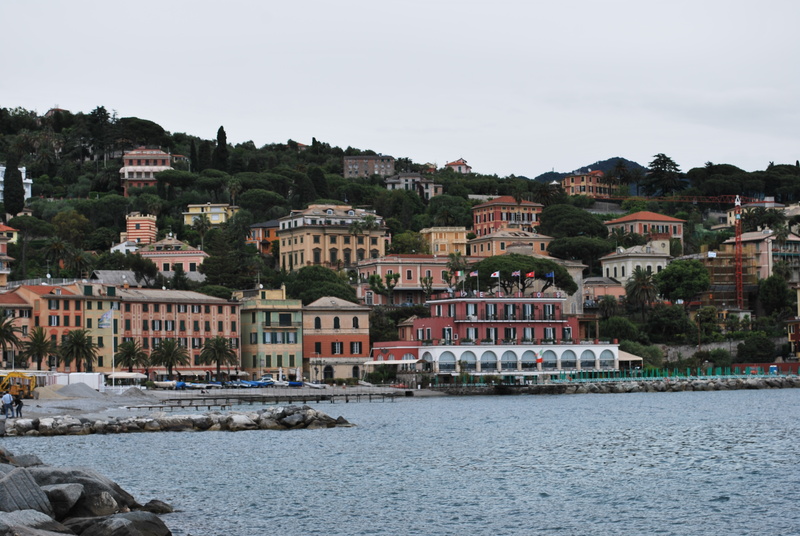 We took a train up to Santa Margherita Ligure where we would be staying for the night. 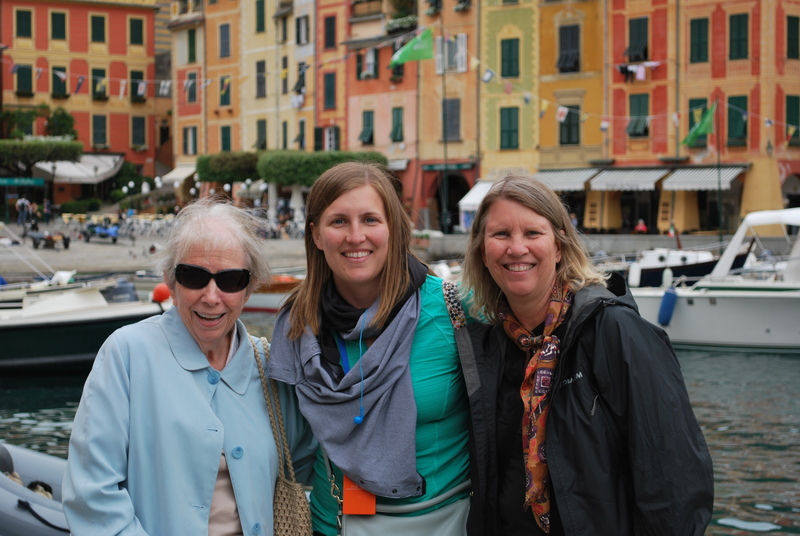 Instead of going to the hotel we walked to the marina and got on another boat (where we met up with my grandma) to Portofino. 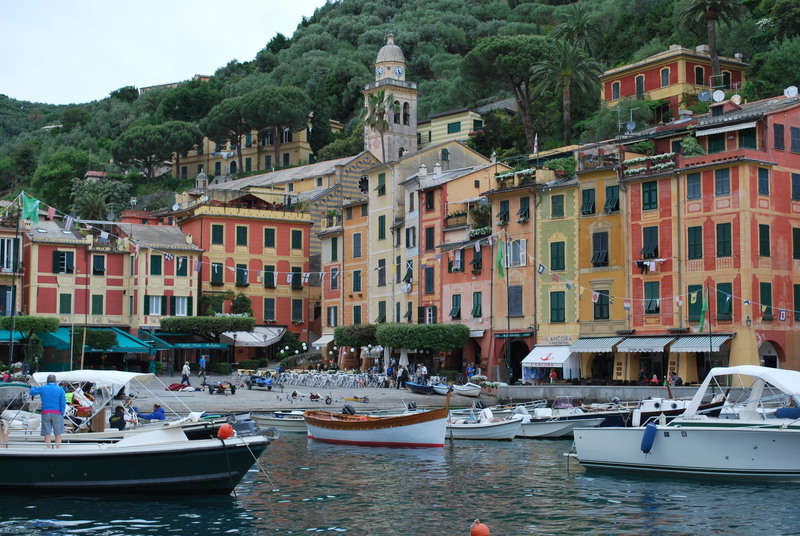 Portofino is a very popular destination for the wealthy and famous. 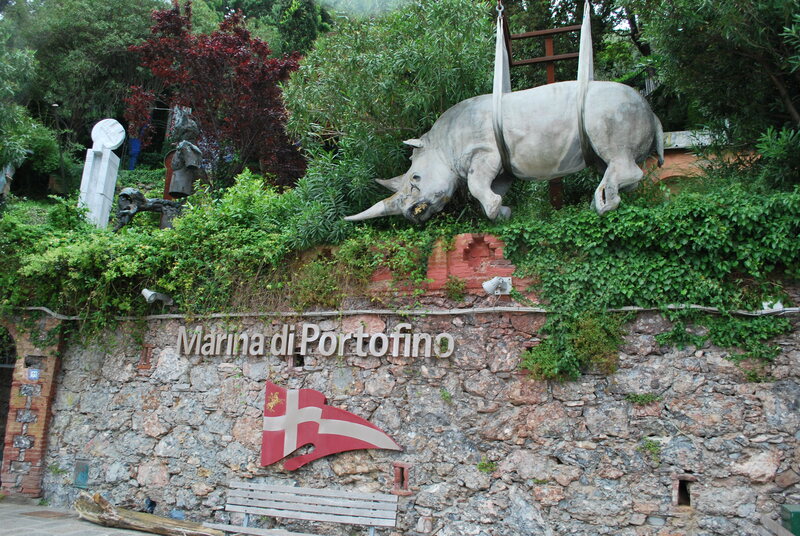 Apparently there are a lot of exclusive clubs in the area, and the shops in Portofino were certainly upscale with a large presence of the Italian designers. 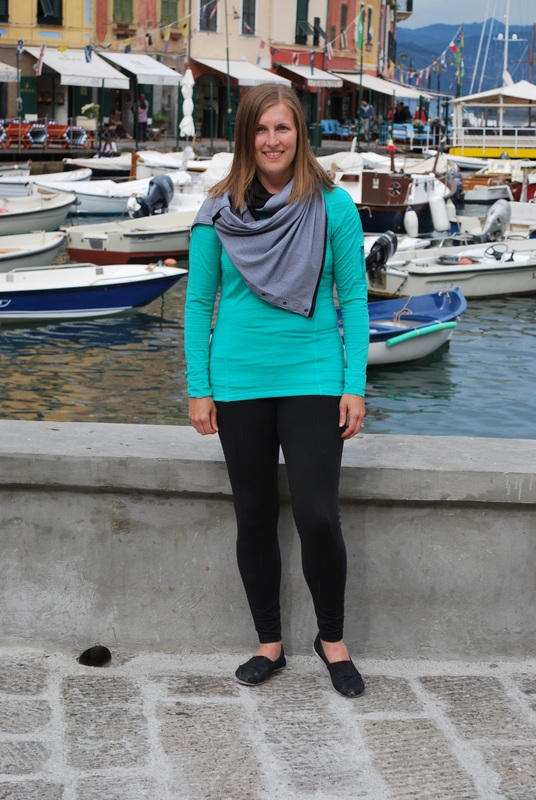 We found a café near the marina and had coffee and then ventured a little further inland to find some shops that were more in our price range. 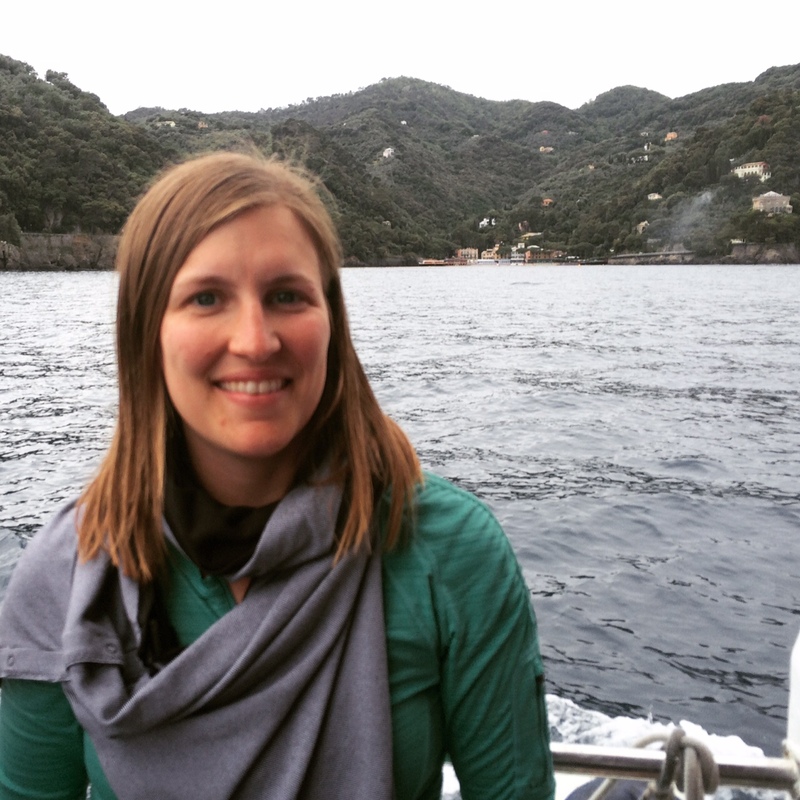 There were a few HUGE yachts in the harbor at both Portofino and Santa Margherita. After taking the boat back to Santa Margherita we enjoyed dinner as a group in the hotel. I do remember they had pesto again, which was good but not quite as good as what I had for lunch. I wish I could remember what else we had but I really have no idea! There was a funny story from another very sweet couple from Texas at our table. 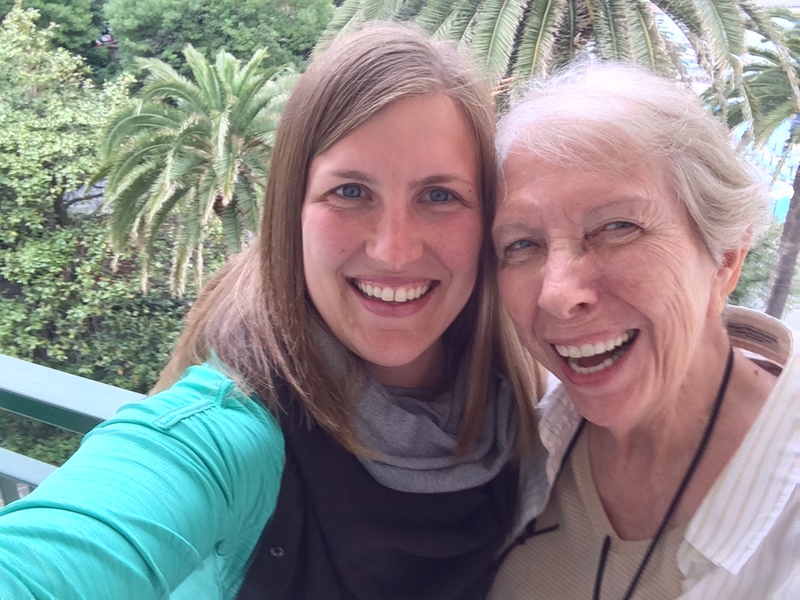 Our tour director told us beforehand that coffee and tea were included as part of the dinner, and of course she meant hot tea, but the couple misunderstood. When they ordered iced tea the waiters (who did not speak English) did not understand. First they bought them canned lemonade, and by this time they had realized there mistake and insisted that they would just have something else, but the wait staff was determined to help them. They ended up with hot tea and a bowl of ice. They were very embarrassed by their mistake and accepted gracefully and had a good sense of humor about it. This was one of the two destinations that we only spent one night. The next morning we were off to Lake Maggiore bright and early! The Beach- Apparently there are very few free beaches in this area. You pay per day or month or season to have a guaranteed spot. The only way to find a free beach is to go by boat to find a beach not accessible by land.